Having already rolled out videos for "Rocket Ship" and "Jumpin on a Jet," alongside a companion documentary, Future has now shared another clip for a track off his latest LP The WIZRD. This time, the Atlanta icon has treated album cut "Go Dummi" to visual accompaniment. 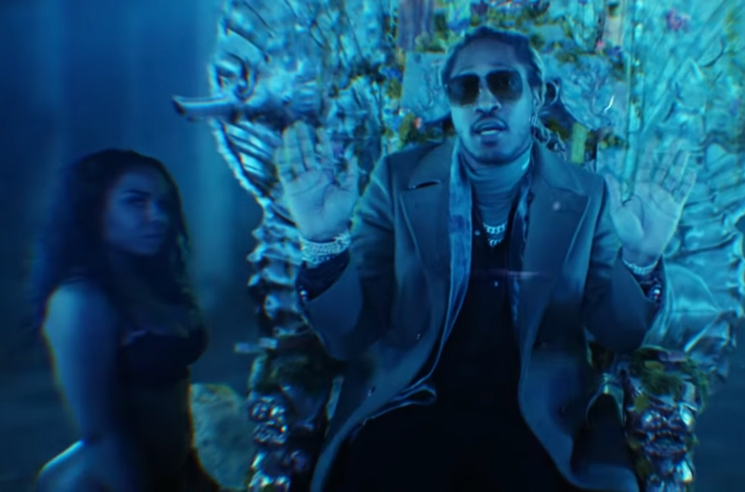 The clip cuts between surface world Future, who lounges on a blow-up mattress with two friends, and Future as an undersea ruler, seated in an elaborate throne. The shots are split up with some overhead shots of synchronized swimmers, and you can take it all in with the player below. Future is set to play Montreal's inaugural Festival Metro Metro this May.